Best unit in Trafalgar, just steps to the sand! 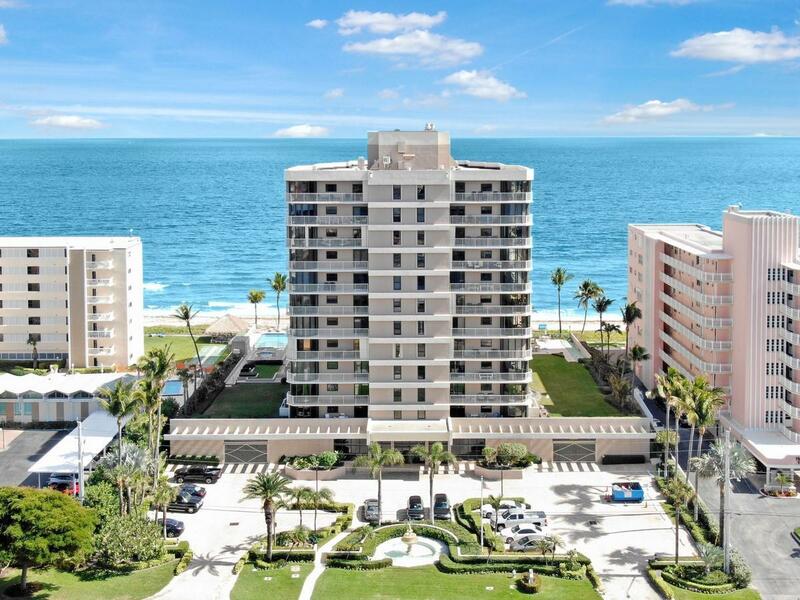 Make your dream home a reality in this oceanfront 3 bedroom, 2.5 bath condo. Upon entering this well-appointed unit, you are greeted by a wall of windows displaying the picturesque direct ocean view. The kitchen offers a breakfast nook, granite countertops, tile backsplash, high hat lighting and a snack bar. Rise each morning to breathtaking ocean views in your spacious master retreat with glass doors to the covered patio and a master bath finished in marble. Step out to the patio with Eastern exposure and watch the sunrise over the ocean. Crown molding, plantation shutters, custom lighting and marble flooring complete this spectacular unit. Trafalgar offers a new state-of-the-art fitness center, a gathering room, resort style pool and spa.